In a massive US$18.3-billion deal, Barrick Gold and Randgold Resources have agreed to merge and form New Barrick Group. 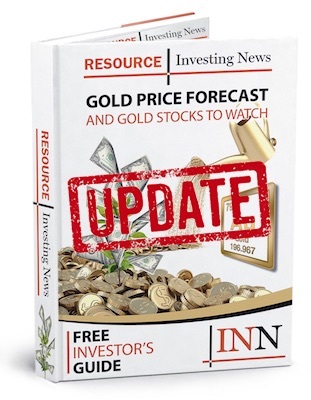 Canada’s Barrick Gold (TSX:ABX,NYSE:ABX) has agreed to buy Randgold Resources (LSE:RRS) in a US$18.3 billion share deal to create the world’s largest gold company by value and output, the companies announced in a joint statement on Monday (September 24). Once the deal is finalized, Barrick shareholders will own approximately 66.6 percent of the new merged company, while Randgold shareholders will obtain a roughly 33.4-percent stake. “There are no premiums in the merger because we strongly believe in the opportunity to add significant value for our shareholders from the disciplined management of our combined asset base and a focus on truly profitable growth,” stated John L. Thornton, executive chairman of Barrick. In terms of management for the soon-to-be New Barrick Group, Randgold’s long-term CEO, Mark Bristow, will remain in that position while also adding the title president to his name. Meanwhile, Barrick’s John Thornton will remain in the position of executive chairman. Additionally, two-thirds of the directors for the new board will be nominated by Barrick, and one-third will be nominated by Randgold. The newly-merged company will also be taking a critical view of its asset base and evaluate how the business is run, being prepared to make tough decisions. “Our industry has been criticised for its short-term focus, undisciplined growth and poor returns on invested capital. The merged company will be very different. Its goal will be to deliver sector leading returns,” stated Bristow. The merger is expected to close during Q1 of next year. In 2017, both miners produced a substantial amount of gold, with Barrick producing 5.32 million ounces of the yellow metal and Randgold delivering 1.315 million ounces. In additional Barrick news, the company also announced today that it has entered into a mutual investment agreement with Shandong Gold Group (SHA:600547). According to the agreement, Shandong Gold will purchase up to US$300 million of Barrick shares, and in turn, Barrick will invest an equivalent amount in shares of Shandong, with shares to be purchased in the open market. “This mutual investment is another reflection of the deepening partnership between our two companies,” said Thornton. “Barrick and Shandong both believe that by working in partnership, we can leverage our collective strengths to unlock long-term value for our respective shareholders, just as we are at Veladero today, with the potential to expand to Lama and other El Indio Belt projects in the future,” he added. As of 10:44 a.m. EST on Monday, Barrick climbed 6.73 percent, trading at C$14.43, while Randgold was up 1.44 percent, trading at GBX 4,923.00.